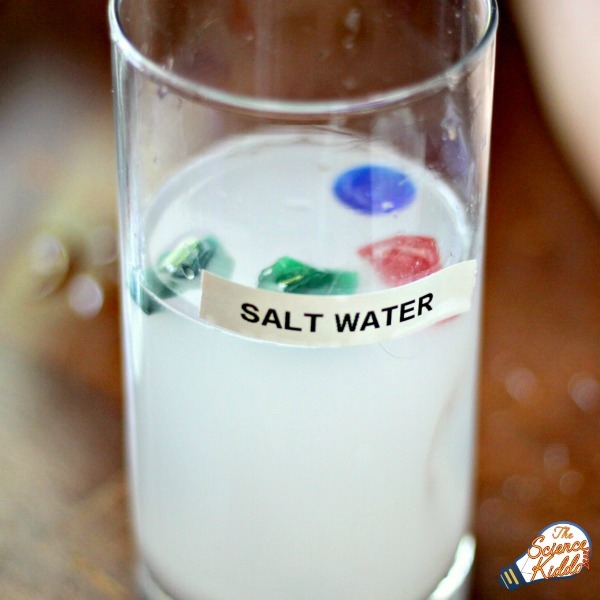 This super easy salt water experiment is the perfect kitchen science experiment to teach kids about the density of salt versus fresh water. With summer approaching and beach trips planned it’s a great time to learn about how salty ocean water is different from fresh river water. 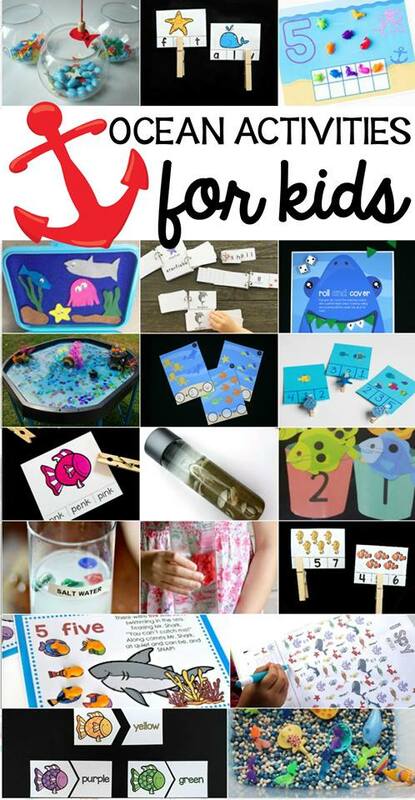 At the end of this post you will find 20 more ocean-themed learning activities to do with the kids! I was so excited to learn about the ocean with my kids! There are so many fascinating animals and undiscovered areas of the ocean. 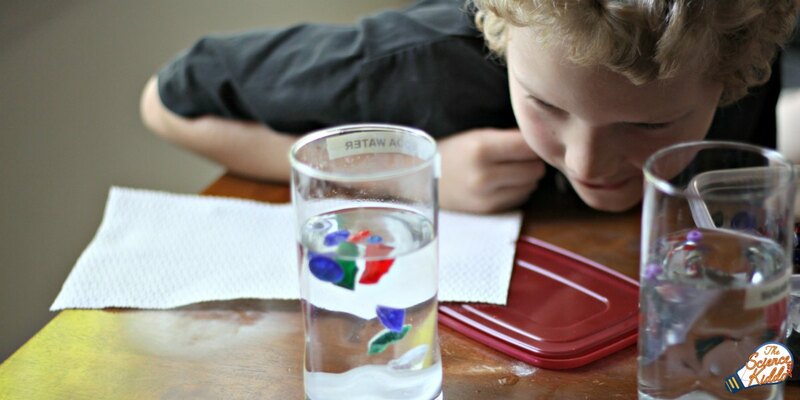 Once we had some solid background knowledge about the ocean we set up our salt water experiment. This was the first time I introduced the kids to a “controlled variable”. (The thing you don’t change so you can compare other things to it.) My little scientists are growing up. *Feel free to test other substances like washing soda, baking powder, sand, cornstarch, etc. It’s always fun to experiment to see what happens! Label each cup so everything stays organized. Have the kids think about what might happen when they drop the jewels into each cup. Will the jewels sink or float? Drop the jewels into each cup to find if the kids’ guesses were correct! 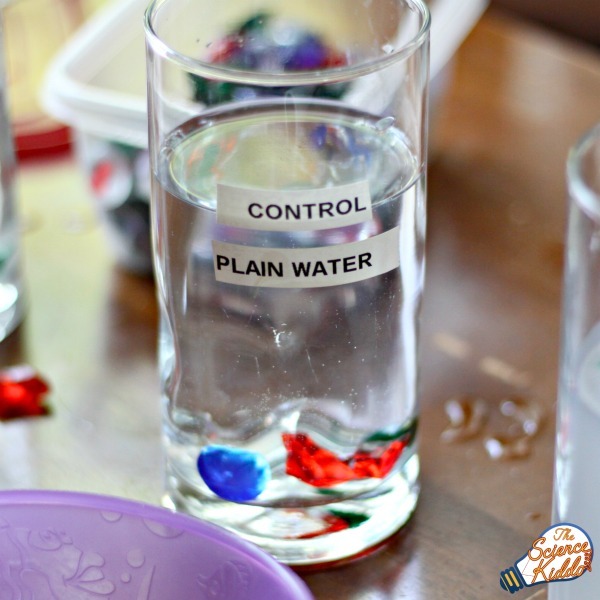 *Hint: You may need to add more salt/sugar/baking soda to the water, depending on what kind of jewels or food you are using in this experiment. Add enough that you can see some extra powder on the bottom of the cup. The salt water and baking soda water should make the jewels float. Read below to find out why! When you add salt to water it makes the water more dense. This means it gets heavier. Many objects that sink in fresh water will float in salt water! 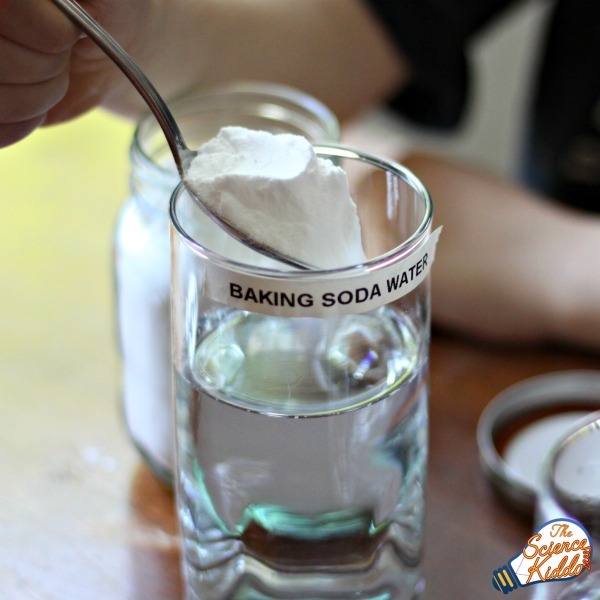 Objects float in baking soda water because baking soda is a kind of salt. 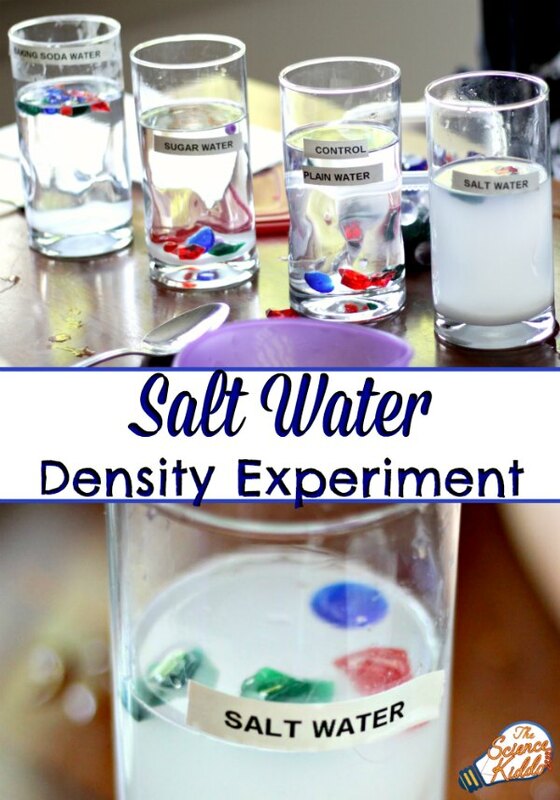 It dissolves in water to make the water more dense, just like table salt does. However, baking soda has another property that gave us a little bit of a surprise! When baking soda dissolves in water some of it reacts to form carbon dioxide gas. If you look carefully you will see tiny bubbles rising from the bottom of the cup. 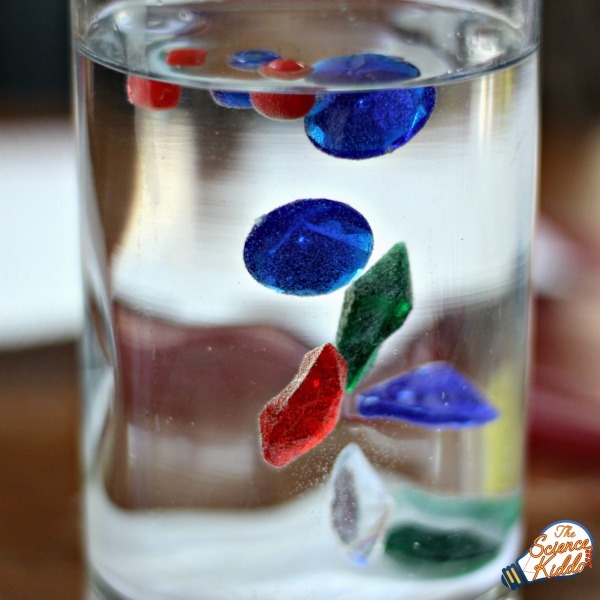 We must have added just the right amount of baking soda to the water because when we put the jewels in the cup they hovered right in the middle! Over time the tiny carbon dioxide bubbles attached to the plastic jewels and acted like tiny life preservers, carrying the jewels to the top of the cup. It was absolutely FASCINATING to watch that process! My son loved watching the jewels slowly rise to the surface. 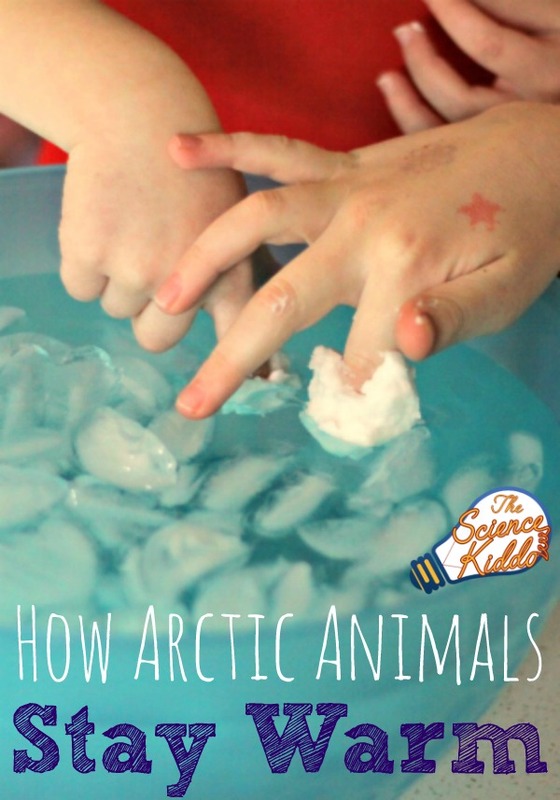 Give this fun and easy science experiment a try while you learn about the ocean this year! 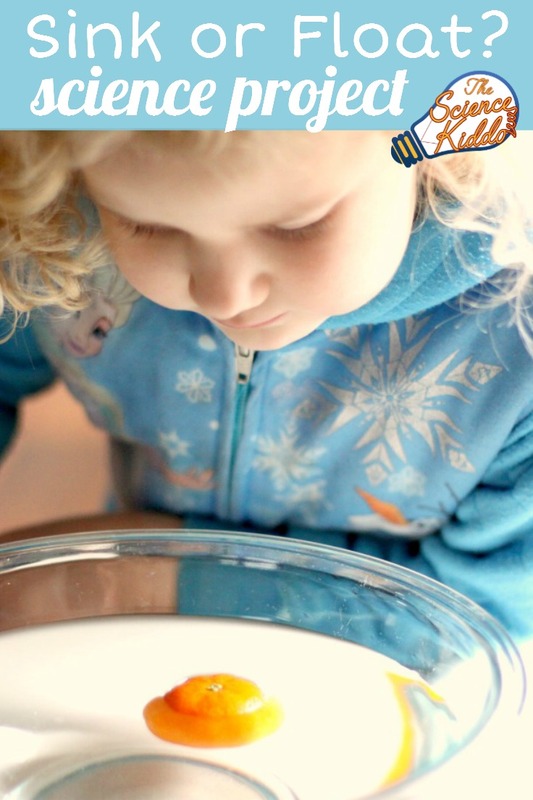 And be sure to check out the list below for more ocean-themed activities from some of the most creative bloggers on the web. Love your experiment. Just shared it on my blog. Thanks! Hi! I was wondering what two episodes you showed? I figured the “Ocean Deep” and did you do “Fresh Water” or “The Shallow Seas”? Great, thank you! I totally agree! This is so clear and concrete for kids. It will definately help them understand the density of water (and other liquids for that matter). 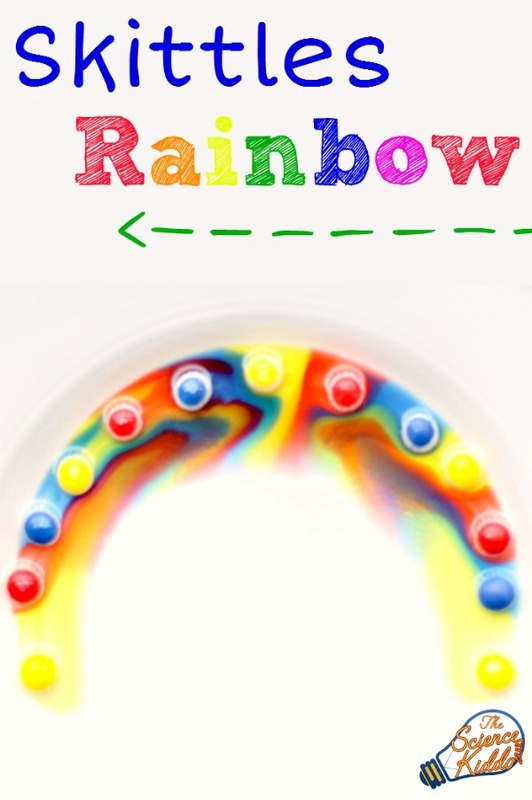 Perhaps a silly question but here goes: why don’t the beads float in sugar water if it is only about adding density to the water?